Movies are meant not for entertainment only, but they do represent a culture too. Considering the number of movies produced in various languages in India, one can come to an assumption that the interest of people working in these industries is growing day by day. With movies available just on a mouse click, film makers do keep an eye on those themes which stands alone in the crowd. Movies made in bollywood and other regional languages are directly or indirectly connected to Hollywood or some other language movies. Even though most of them are copy cats, the filmmaker like to call it as 'inspiration' or 'inspired from' when traced out. While Bollywood movies do imitate the original, remakes in Tamil, Telugu, Kannada and Malayalam Industry do try to bring down the story weaved with the culture of the state. But can you imagine about a movie which themes around a director who copy the script from another language without giving credit to the original creator? Any way debutant director Sujith Nair is on the way with a script while tells the tale of a director who struggles to find his own space in the industry. Titled 'Korean Padam', the movie revolves around Kishore, a young aspiring film director who approaches many producers with his own script. But may be of his bad luck none of them were interested in the script. They rejected on the ground that money would be invested only in a new generation film. Much disappointed with the words, Kishore writes another script which is exactly a xerox copy of a Korean film 'Jawang Ju'. As the producer got stuck with the new script, he was ready to spend money on it. Interestingly the film turned to be a super hit in Kerala running successfully with housefull boards on all theatres. Taking an U Turn in the story, the director of the original Korean movie 'Jawang Ju' learns that his story had be stolen without giving any credit or cash as copy right. He comes to Kerala and files a case against Kishore with a demand of a hefty compensation. During this juncture, Kishore makes an amazing plan which forms the suspense element. A Korean actor named Juan will be playing the role of the Korean director while the main leads are yet to be finalised. 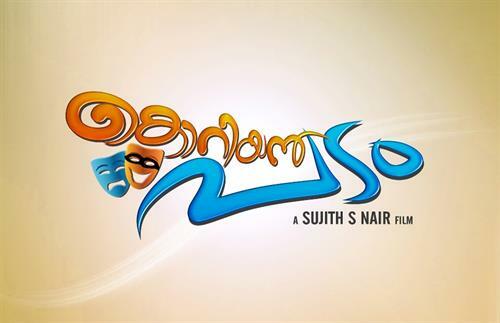 Tini Tom, Salim Kumar, Suraj Venjaramoodu and Devan will be donning prominent roles in the movie.